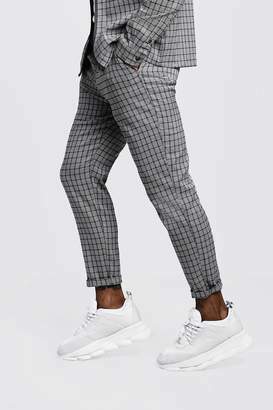 Trade in your denim for trousers and get tailored this seasonMake trousers the talking point of your outfit with boohooMAN. Slim fits continue to be a style staple, while timeless tweed and classic cords make a comeback this season. Topping the trouser trend top spot is the chino â€“ earthy colours give your look instant edge. Team them with a basic tee, plimsolls and a varsity jacket for a cool sports luxe vibe this season.